For the last three weeks we have been looking at Romans 8. It is a magnificent chapter. If Romans are the Himalayas of the Pauline letters, chapter 8 is the Everest of Romans. And today we come to the summit, particularly looking at verses 28-39. V28: ‘And we know that for those who love God all things work together for good’. I’d like to tell you a story about a princess! Or perhaps more to the point, about her crown. 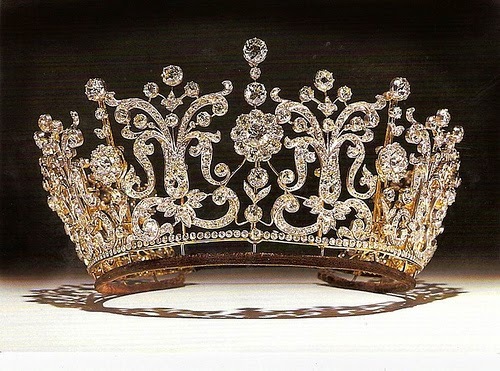 She wakes up in the morning and there is the crown. She may behave in very un-princess like ways: throwing her teddy on the floor She may say some very un-princess like things: 'I don’t want to do that' She may feel very un-princess like. 2. The crown promises her that she has an inheritance - our inheritance is what we are going to get in the future. The crown tells her that she has an amazing inheritance: one day she is going to be queen. All the palaces, corgis, servants, jewels, the whole country - in fact, everything - will belong to her!! What does it mean to be led by the Spirit. We continue to look at Romans 8. And today I particularly wish to focus on verses 14-17. We are told that a person who has received the Spirit of God will be led by the Spirit of God. And if we are led by the Spirit of God, three things will follow. When Jesus taught his disciples to pray, he taught them to say, ‘Our Father’. Imagine our opening scene. We meet 11 men with their heads bowed. One man is standing over them. He is pretty impressive. He is the prime minister of Egypt. 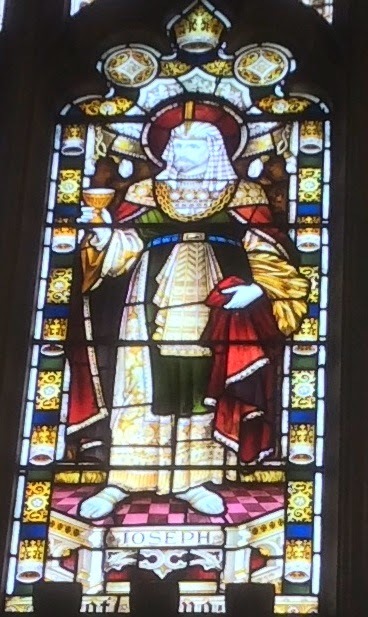 There is an image of that man in one of our South windows. His name is Joseph. The 11 are his half-brothers. And they are terrified that Joseph is going to order their execution. Many years earlier these 11 had done something dreadful to Joseph. They had seized him, dropped him in a pit with the intention of leaving him there to die, and then - when they realised they could get some money for him - had sold him as a slave to some passing traders.